Microsoft CEO Satya Nadella has disavowed controversial comments he made at a women's tech conference, including the suggestion that women who don't ask for raises will receive "good karma." "Was inarticulate [on] how women should ask for raise," Nadella said on Twitter following his appearance at the Grace Hopper Celebration of Women in Computing conference in Phoenix, Arizona. "Our industry must close gender pay gap so a raise is not needed because of a bias." 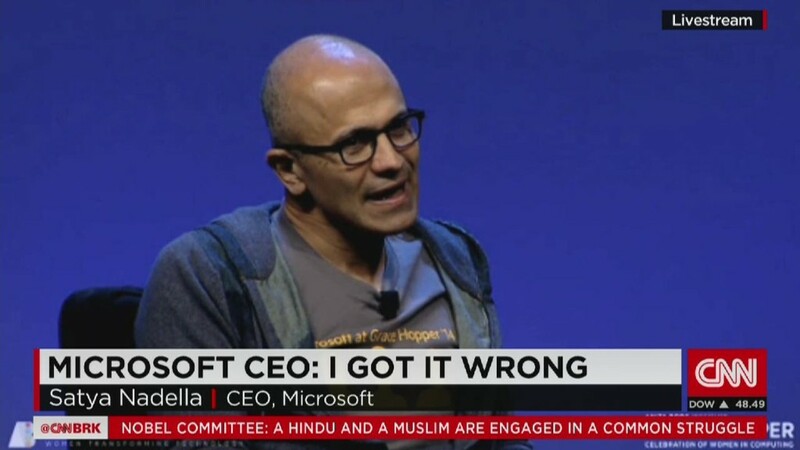 In an email sent to Microsoft (MSFT) employees and published on the company's website, the CEO said he answered the question "completely wrong." 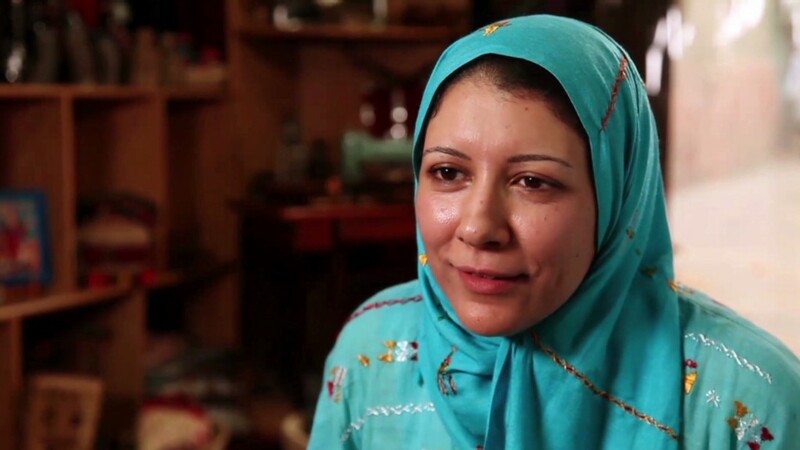 "I believe men and women should get equal pay for equal work," Nadella wrote. "If you think you deserve a raise, you should just ask." 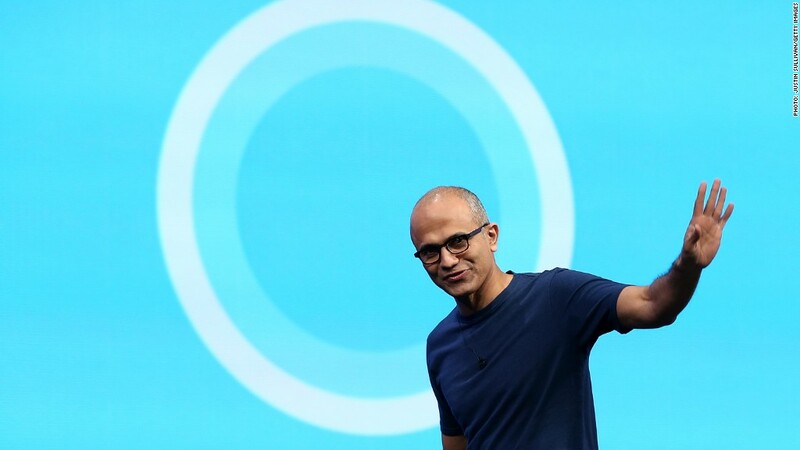 Nadella, a 22-year veteran at Microsoft, was elevated to the CEO position in February. He had been overseeing various aspects of the company's corporate software business since 1992. His comments drew intense criticism on social media. The comments were also challenged by Maria Klawe, the session's moderator, who is also the president of Harvey Mudd College and a board member at Microsoft. "Do your homework," she told the crowd. "Make sure you actually know what a reasonable salary is when you're offered a job. Do not be as stupid as I was." Microsoft recently released workplace diversity statistics showing it has a problem with gender imbalance -- particularly at the leadership level -- as much like other leading tech firms. Microsoft's workforce is 71% male, a figure that rises to 83% for both technical and leadership roles. Those figures are roughly in line with the gender breakdown at Google, Facebook, Yahoo and Apple. -- Jillian Eugenios and James O'Toole contributed reporting.